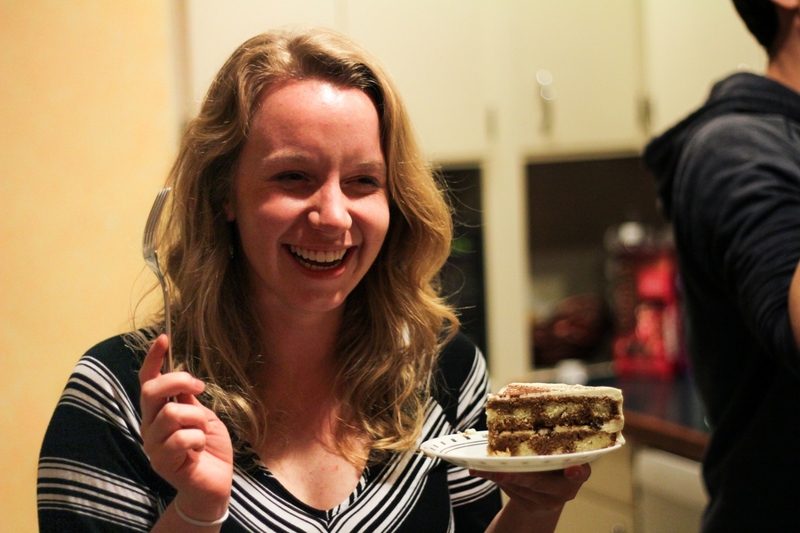 For my birthday this year I threw a panini party at my house, complete with made-to-order paninis, blackberry margaritas, sparkling sangria, a tiramisu cake, and all my favorite Bostonians. Hosting is always stressful, but I managed to get everything cooked (with massive amounts of help from Trevor), relax, and really have a great time. 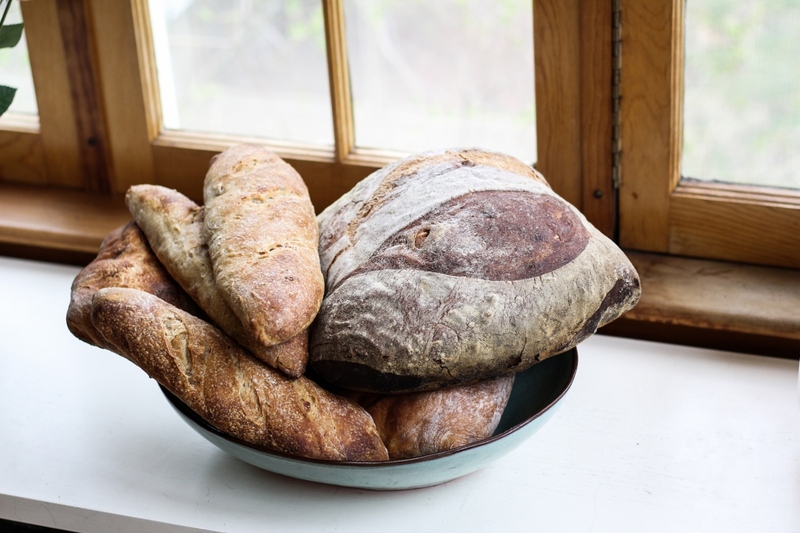 I’ll let the pictures tell this story (although I’ll be honest, some of the panini shots came from the next day – it’s hard to simultaneously cook paninis and have fun and think about pictures! 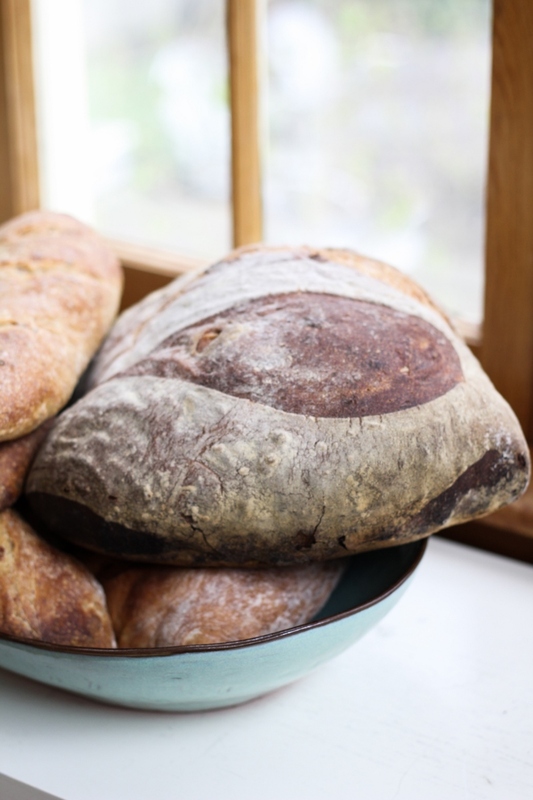 ), but know that if you’re trying to think of a cheap, easy, and diet-accommodating way to feed a lot of guests, paninis and sangria are a great way to go. 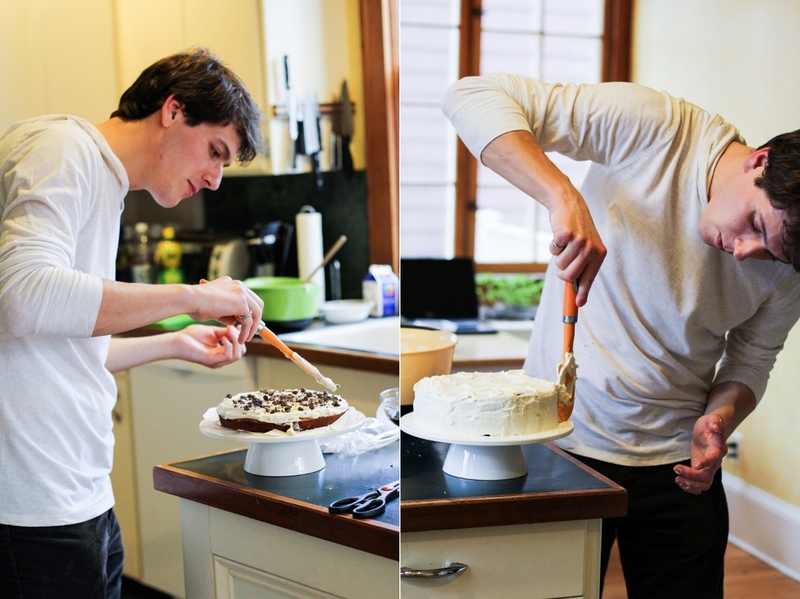 This is my stud-muffin boyfriend making me this Tiramisu Cake from Smitten Kitchen, and me very happily eating a slice that is way too big for me. 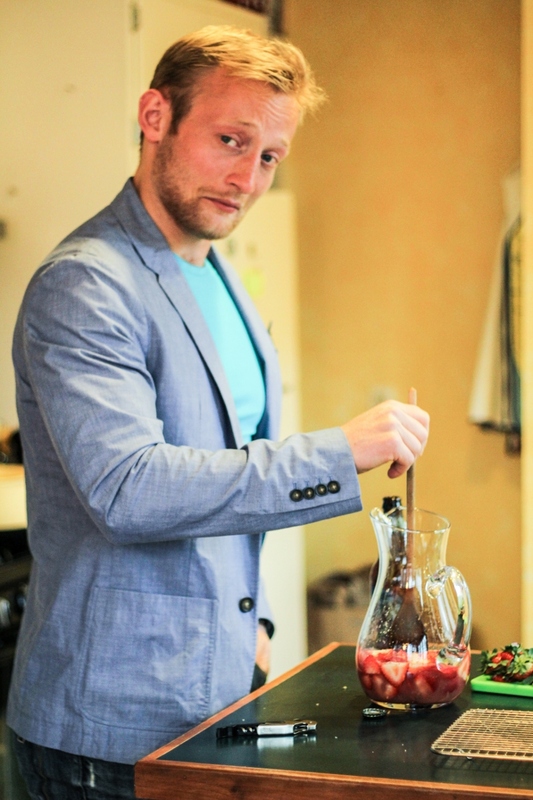 And this is my poet friend Noah, who takes his strawberry-muddling job very seriously. (As he should). Recipe adapted slightly from Home Made Summer. Serves 4-8, depending on how thirsty you are. Combine all the fruit, the grapefruit juice, the cinnamon sticks, and the mint in a large pitcher and stir to combine. Cover and refrigerate for at least one hour. Just before serving, stir in the brandy, then pour the wine over the top. Taste, and stir in sugar if it is not sweet enough. Serve cold. 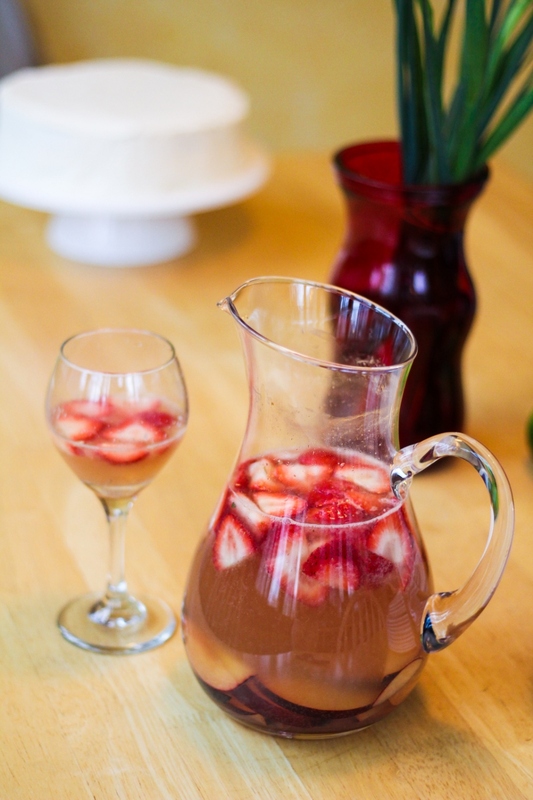 Cannot wait to try this cava sangria!! That sangria sounds so good. 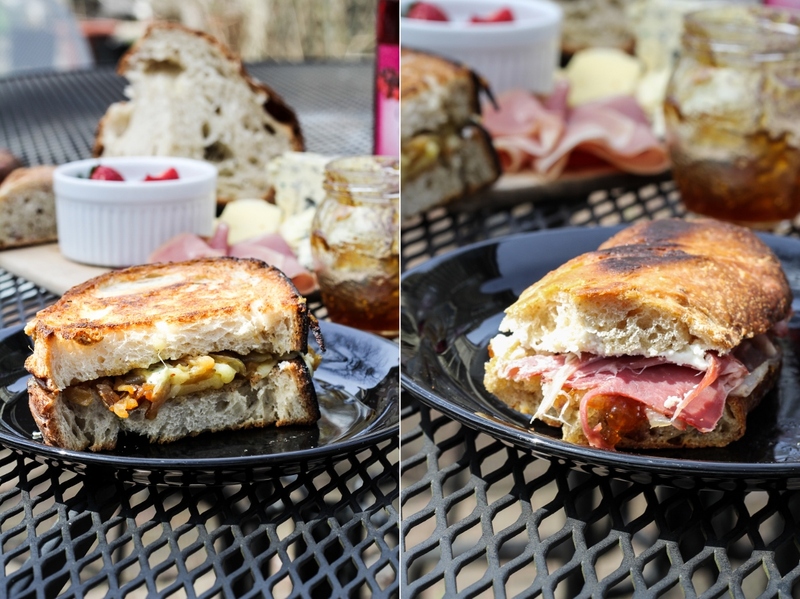 And those paninis look amazing! 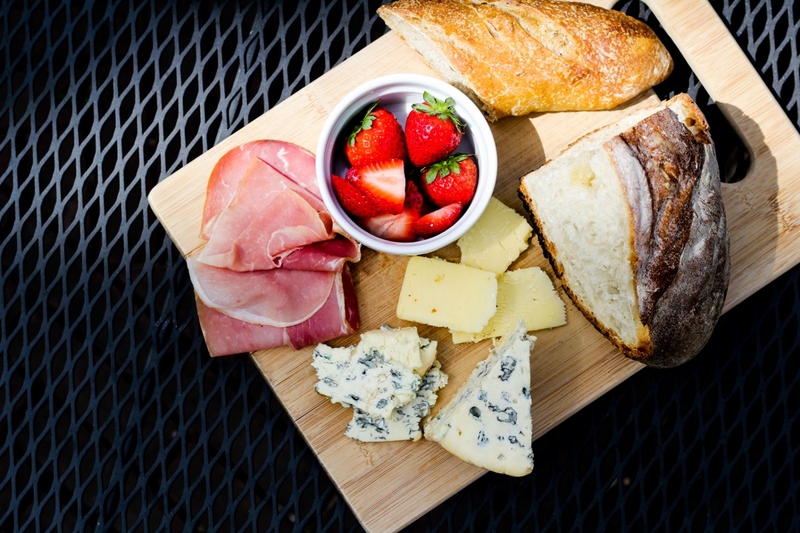 A panini party sounds like so much fun! The best parties I’ve ever been to have always featured a lot of DIY cooking and consequent hanging out around the grill or what have you. It’s like a party game for adults. :) And that sangria sounds so perfect for the newly warm weather! Sangria sounds good right now. Its a perfect summertime drink. Wow your boyfriend made you tiramisu? Lucky girl!